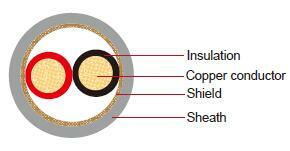 This PVC insulated cable is used in low electrostatic capacitance in automobiles(vehicles). Thinner insulation than AVS type. Suitable for the consideration of the shielding characteristic.